I saw this gorgeous white peacock at the Tucson Zoo. The tips of the feathers glowed. 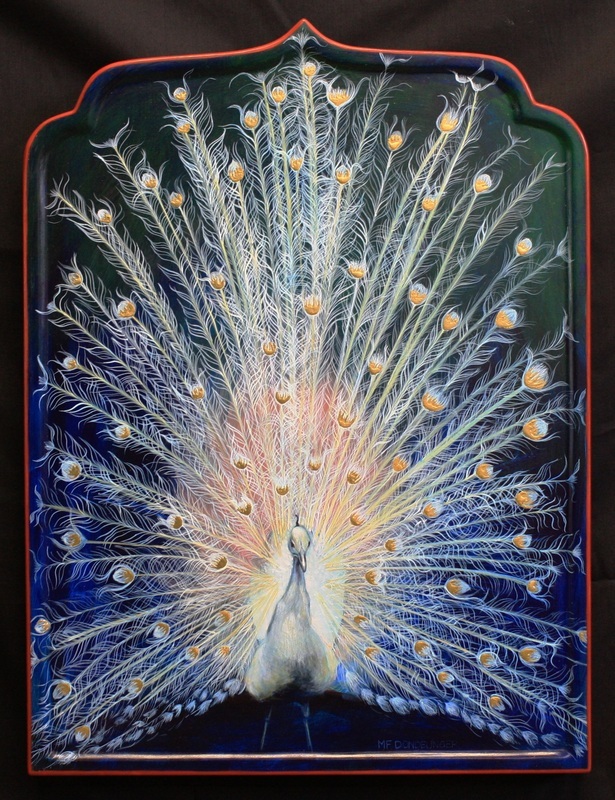 While hard to photograph due to the kinetic nature of gold, in side lighting, the peacocks feather tips glow when catching the light.